One of the secrets to being successful online and making money is having multiple income streams. Possible income streams include selling a product, offering a service, guest posting, ad revenue, and affiliate marketing. When you diversify your revenue and one falters then the others are still there to generate income. Today I want to let you know about affiliate marketing for beginners and how it works. 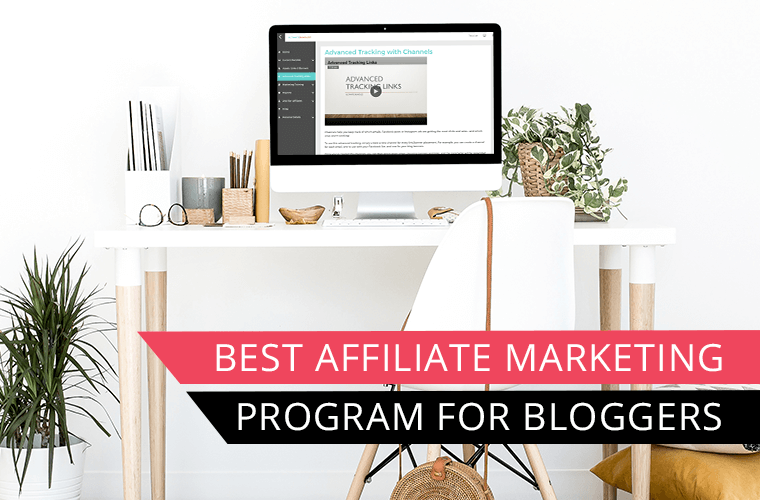 Affiliate marketing for beginner bloggers is a great way to establish your first potential income stream when starting a blog. Affiliate marketing involves promoting a product that is not your own for a commission. As an affiliate of a product you agree to certain terms and promote the product to your audience using an affiliate link, which is unique to you. When someone clicks on this link and decides to make a purchase you receive a pre-defined commission. This is often referred to as a conversion. Your affiliate link contains programming code that tracks where a referral came from. When someone clicks on your link a “cookie” is stored to help keep track of any purchases that come through your link. The conversion window can be different for every company. For example, some companies offer a 30 day period where you receive a commission if they purchase within 30 days of clicking on your link. This applies even if they come back to the product site, not using your link. There are definitely some pros and cons to affiliate marketing. 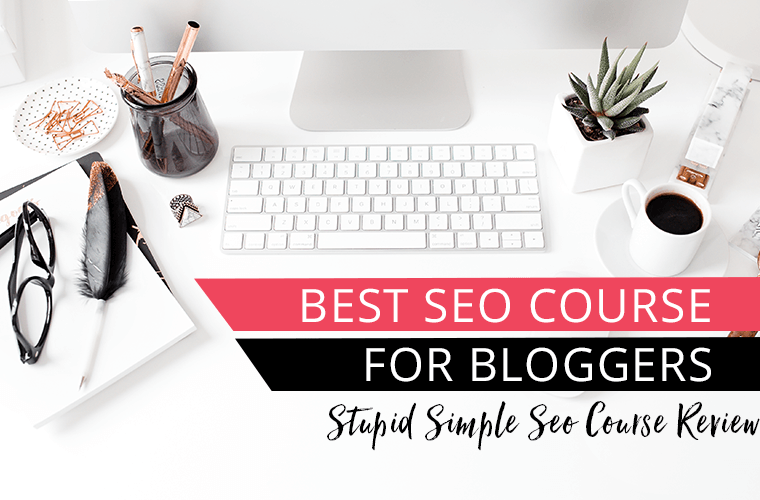 Let’s start with the cons and the importance of understanding why affiliate marketing should not be your only source of income for your blog. You only make money if someone chooses to purchase through your link. The company in question sets their affiliate commission rate and you have no control over it. There is no consistency in income. You may have a good month and then several bad ones. Affiliate links direct people away from your website, after you have worked so hard to get them there. This list is some of the realities of affiliate marketing and how it can be a fickle source of income. 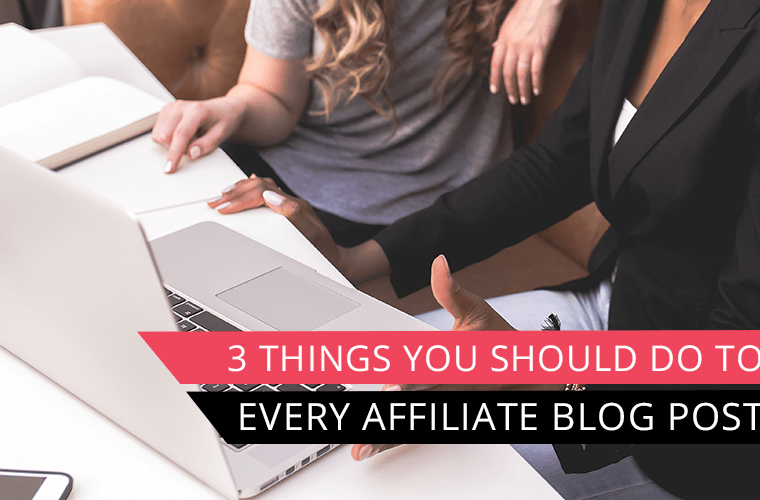 However, there are definitely pros to affiliate marketing and reasons why you should begin affiliate marketing right from the start of your blog. 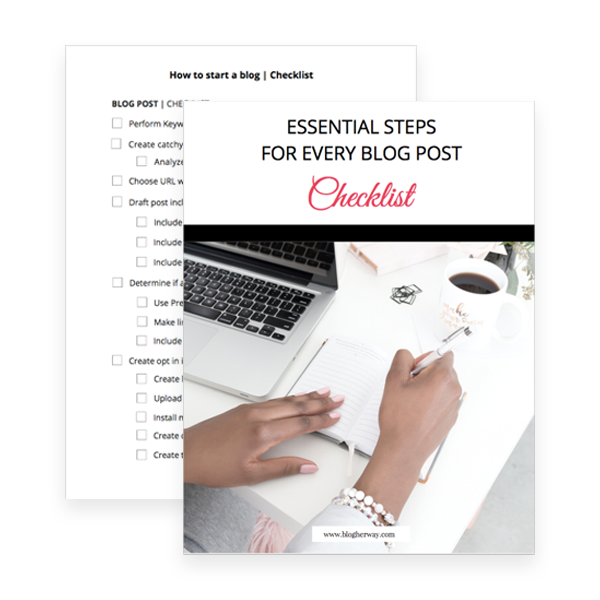 How to start a blog with SiteGround. How to start working with WordPress for free using a local server. Affiliate marketing is a relative passive form of income. First you create a piece of great informational content that promotes a product you love. In the content you place your affiliate link and a percentage of your readers click over and make a purchase. All you have to do is create the content once. Then you can continue earning affiliate income from it long after you created it. Its not truly passive income, because you must continue to work to drive people to your site. You can easily become affiliates of products from the start. If you are just starting a blog from scratch and have no traffic you can still be accepted as an affiliate. Some affiliate networks or companies that may have a baseline requirement on how many page views you need. Others don’t have such requirements and make it easy to join their affiliate programs. You don’t have to have your own product in order to make money. If you are just starting a blog and do not have any product of your own then affiliate marketing is a great way to start earning income. 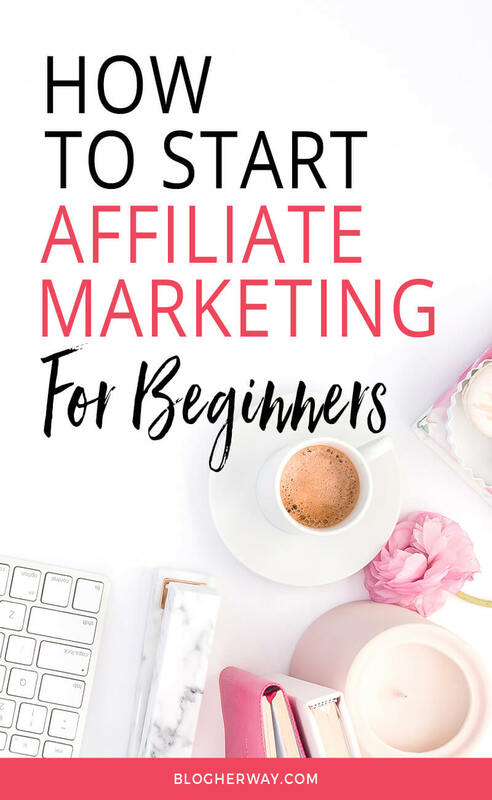 Having your own product is ideal, but for a beginner blogger affiliate marketing is one way to establish your first income stream. When I first started blogging this is one topic that I wanted to invest time and money into because I knew eventually it would be worth it. I took an online course Making Sense of Affiliate Marketing from Michelle Schroeder-Gardner to help give me direction. 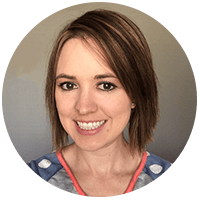 Michelle is a superstar when it comes to making money from affiliate marketing. I am now an affiliate of this course and would proudly recommend it to anyone who is just starting out with affiliate marketing. This course goes into the ins and outs of affiliate marketing and how to do it legally. One great feature of the course is access to a private Facebook group. This is golden because it lets you into a community of like-minded people who are in the thick of it and testing the waters with affiliate marketing. It is a great place to ask questions and find support. What I want you to do now is consider your business and make a list of products that you use regularly. This can include products such as specific tools that you use for your business or courses you have taken. For instance if you are a food blogger than you can become an affiliate and recommend your favorite pans or knives that you use with your recipes. A craft blogger definitely should sign up to be an amazon affiliate and link to the supplies needed to create the craft. As a online business blogger I am an affiliate for SiteGround where I host my blog. There are opportunities for affiliate programs in any niche. Once you have your list, check to see if they have any affiliate options. A good way to do this is perform a Google search by typing the name of the company and affiliate. If there is a product you love and you don’t see any affiliate option, contact them directly to see if you can potentially start an affiliate relationship with this company. Create a how to post or a review post for each affiliate option. It is important to promote products that you actually like and would recommend. Also, be as transparent about the product as you can by listing the good and bad. People respond best to honest reviews. Promote your affiliate link to your email subscribers. 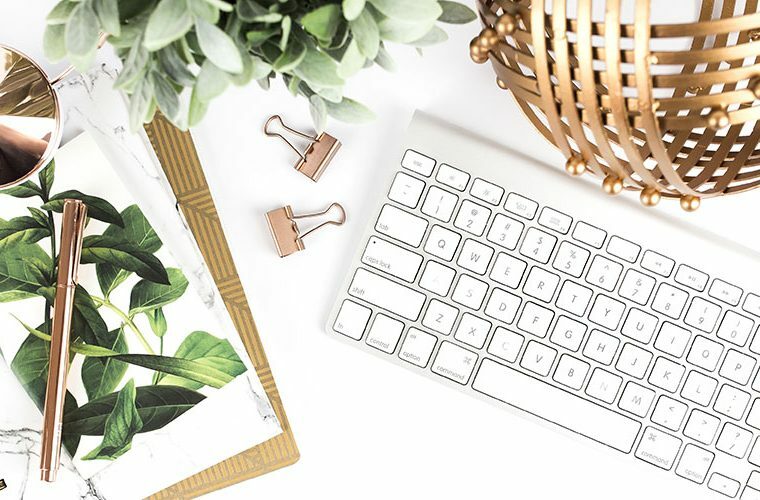 Some programs will not let you use the affiliate link directly in your email, but you can link to your blog content that promotes your affiliate links. Email is a great way to inform your audience of any sales or promotions to encourage them to take action and sign up. Promote your affiliate link on social media. Facebook, Twitter, Instagram and Pinterest allow you to use an affiliate link. The important legal lesson of affiliate marketing that you should understand from the start is you must disclose that it is an affiliate link. For instance in your blog post you need to have a disclaimer appear before using any links. This disclaimer can be as simple as “this post contains affiliate links and if you click on the link and make a purchase I will earn a small commission”. Another option is having a separate disclosure page and stating on your post “this post contains affiliate links, read my full disclosure to learn more.” When promoting on social media you also need to disclose that it is an affiliate link. Always be transparent with your affiliate links. Have you ever been on the other end of an affiliate link? I went through a phase myself once where I would read an article and intentionally open a new browser and search for the company myself, knowing that if I used their link it would benefit them. I didn’t want them to earn money off of me, but then my mindset shifted. Now I try to use someone’s affiliate link whenever I can. Bloggers promoting affiliate links are just trying to earn money in order to grow their business so they can continue to do what they love. In a way, using an affiliate link is almost like sticking it to “the man”. Instead of the company making full profit off of you they have to share some of the profit. This way more people win. This is a “win, win, win” scenario for you Office fans. I win because making the purchase is fulfilling a need that I was lacking; the company wins because they got a new customer, and the affiliate wins since it was their insight and recommendation that got me interested in the company/product in the first place. I understand that this post only covers the tip of the iceberg when it comes to affiliate marketing. Like I said before this is a topic that I think is worth investing in. Don’t forget to check out the course Making Sense of Affiliate Marketing by Michelle Schroeder-Gardner. I highly recommend it! Let me know in the comments below your thoughts about affiliate links and if you have any questions about affiliate marketing.